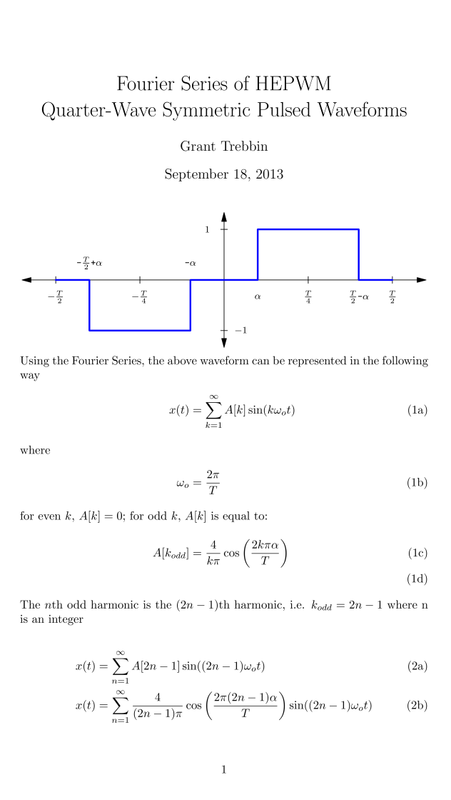 Harmonic elimination pulse width modulation waveforms can be used to control or completely dampen specific harmonics in a switched signal, and in my last post I laid the groundwork for calculating the Fourier series of these waveforms. 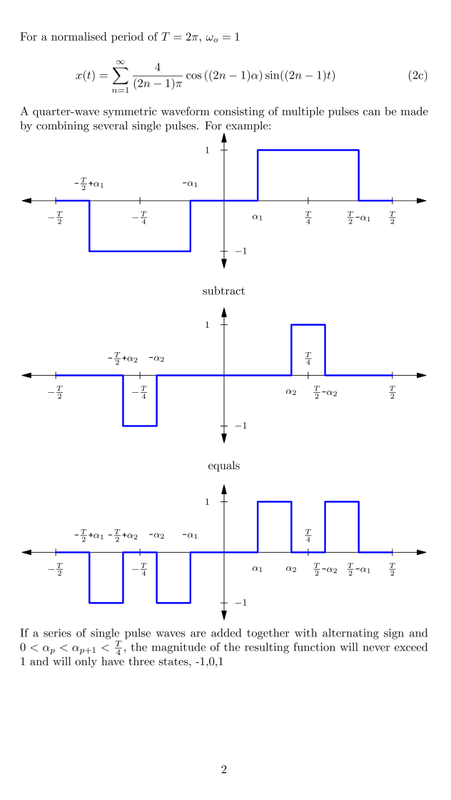 By making the waveforms quarter-wave symmetric the maths becomes a lot easier by eliminating all even harmonics and giving a set of equations easier to solve. Half-wave symmetry should also remove even harmonics and give a more versatile, efficient waveform, but for the following exploration of the topic I'll only be focussing on quarter-wave symmetric waveforms. Below I show how combining simple waveforms from my first post with different alpha values can generate the desired waveform. 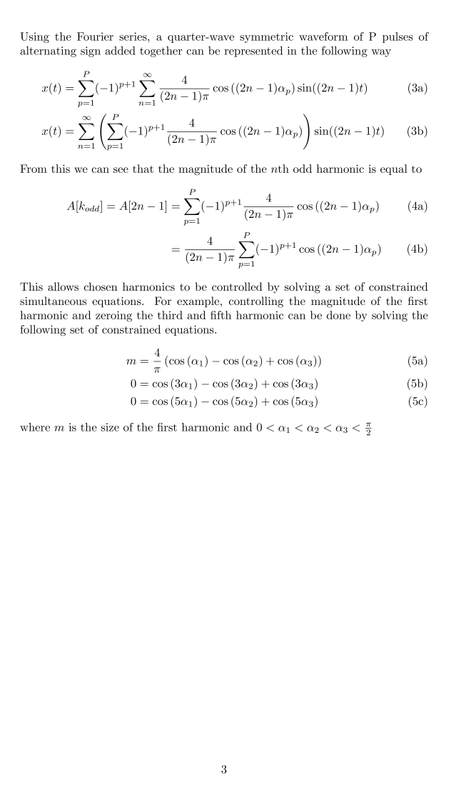 Its paramters can be found by solving a set of non linear constrained simultaneous equations. Solving these is not trivial and requires the use of software like Matlab or Octave. I am currently working on porting some Matlab code that I wrote several years ago for this specific purpose to Octave. I would have liked to have it ready for this post but I've had a few things to take care of lately and I'd prefer not to rush it. It should be ready for my next post though. You can get the PDF of the work below here.